Marijuana and Bigfoot - Does Bigfoot Like a Big Fatty? Marijuana is a hot topic right now and there is a big push to legalize it. 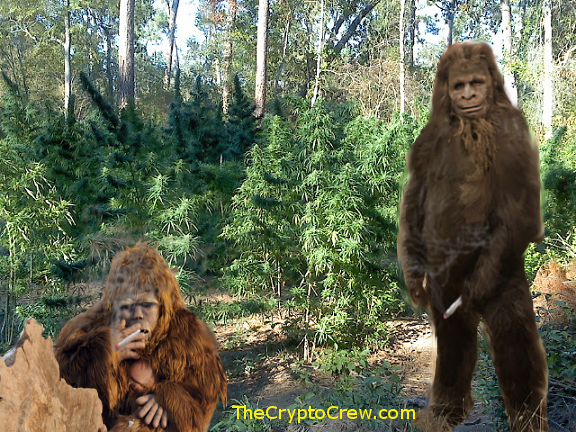 Just turn on the TV, get on the internet or pick up a newspaper and you'll see marijuana is on the mind of a lot of people, but is it on the mind of Bigfoot? I guess at this point most of you are wondering what marijuana has to do with bigfoot, well I have heard and been told about a few reports/stories about bigfoot liking marijuana. 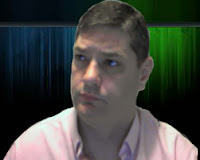 I was told about a small group of people, who research bigfoot, who smoke pot to lure out the bigfoot in the area. It appears that in this area the bigfoot have grown to like the distinctive smell of a big ol fatty burning and come to get the contact buzz. The best I can figure is this exotic research tool has been used repeatedly in this area and continues to work. Then there was this other story I heard about. It seems this small group of people grew a pretty big patch of marijuana out in the woods. They had constructed a make shift cabin to keep watch over their crop. The best I can remember they kept hearing strange sounds coming from the woods during the night. Then one morning as they were checking on their crops they noticed a pretty good patch of it was pulled up and taken. As they checked around for clues to who took it, they discovered several large foot tracks, to big to be a persons. The thought about this is that the group would gather in the small cabin and smoke joints and the smell must have attracted the bigfoot. 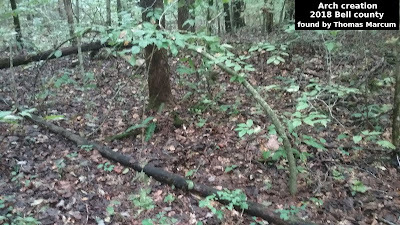 The best I can recall, in the weeks after the plants were taken, there was also a couple sightings of what appeared to be a bigfoot at the edge of the woods. So, I guess the question is do you think bigfoot could become addicted to Marijuana? and has anyone used marijuana in their research of bigfoot and did it work? Does Bigfoot like a Big Fatty? Do they eat it to fight off sickness? Marijuana in bigfoot research is nothing I would ever use, but I'm interested in hearing if others have tried it and the results. If anyone has other stories about bigfoot liking or take marijuana, then please contact me. To learn more about Marijuana click this link - What is Marijuana? In Dmitri Bayanov's book 'In The Footsteps Of The Russian Snowman' page 28 it says 'One must look for almastys at night, near fields of hemp, when it is ripe. They love hemp. They eat a great deal of it, walking around in the fields and stuffing themselves with clusters of the grain. While doing this, they mumble all the time: Boom, boom, boom . They chew noisely, they blow from their noses, and they rustle the stalks. When an almasty is eating hemp at night, it can be heard at a great distance. This article is wonderful. i was always so curious about this particular subject. especially in canada a few people grow out in the woods quiet frequently, but never heard of a sasquatch being seen in the fields doing anything with the plants. ive heard al sorts of stories and reports but never ever someone coming forward about their marijuana grow having a sasquatch occupy it from time to time, for obvious reasons. so seeing an article about it is really interesting and maybe something that should be explored alittle more. Thanks for the feedback! I think BF's could get to like it. Very interesting I'll bookmark for future use. This is wonderful. Please write more excellent articles like this one because the world needs more news about Bigfoot.